Most of us have wished for it once or twice: to one day quit our job, travel the world, and live with excitement. It's not as easy as it sounds, of course. (Or is it?) For now, we can live vicariously through those who were courageous enough to actually leave everything behind—travel bloggers, photographers, and vloggers. We see the beautiful world through their eyes and from our computer screens (while at our nine-to-six desk jobs). We round up 10 YouTube accounts that you should subscribe to for some vicarious adventuring. Good luck not growing green with envy. Christian LeBlanc from Canada quit his corporate job in early 2016 to pursue his passion for travel and vlogging. "There have been countless sleepless nights, but I'm kept motivated by my desire to be the best at the job I love," he writes in one of his featured videos. His footage of a five-star private island in Cambodia and a surfing session in Bali are to die for, but his trip to the "Maldives of the Philippines" is just breathtaking. High on Life is a compilation of travel videos made by Parker, Ryker, and Alexey whose lifelong friendship started in high school. They moved in together after finishing school, only to give up their lease in 2012 to set out on a big adventure around the world. This trip lasted for seven months and took them to 14 countries. 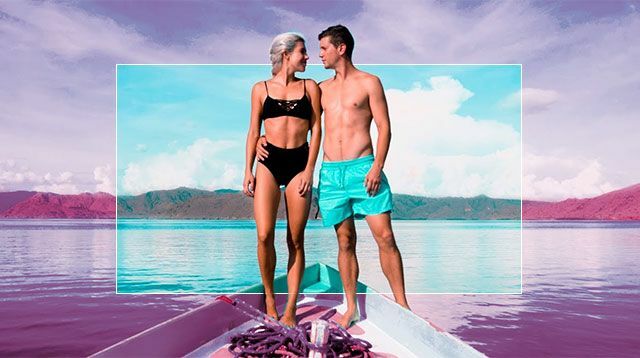 Aside from featuring must-see spots, they also do videos about eating healthy while traveling and key life lessons while on the road. FollowMeTo is made up of Russian traveling couple Murad Osmann and Natalia Zakharova, famous for their signature pose in which the husband holds the wife's hand while she has her back to the camera. It's as if she's always in a hurry to explore the world and get Murad—and the viewer—to follow her on their next great adventure. Their photo project has gone viral, and has led to a book deal and many magazine spreads. Canadian Kyle Jennerman is probably more Filipino than most of us—he has even adopted the Filipino nickname, "Kulas." He started the journey of a lifetime in 2013 and toured the different islands of Visayas and Mindanao in just two months, and has since come back again and again to experience the beauty of our archipelago. With his site and advocacy #BecomingFilipino, he features the food, destinations, people, and culture of the Philippines—even down to how to use a walis tambo and bunot. He always signs off his blog posts and videos with "Super Apir!" "In search of [their] own American dream," married couple Jason and Nikki Wynn hit the road in 2006. They started traveling in their own RV, and now in their own yacht. With their mantra "if we can do it, so can you," they share their RV lifehacks, the best camping grounds in the U.S., and holes-in-the-wall in the places they've visited. Kombi vans, at least as seen in movies, are often associated with off-the-beaten-path travels. This is especially true for the team behind Kombi Life, an expedition from Chile to Alaska that picks up strangers and hitchhikers along the way. Since it was launched in 2011, the great adventurers have traversed the mighty Andes, been stuck in a Bolivian river, and trekked the Amazon. England-born and Florida-bred Jon Watson has the heart of an adventure-seeker. He has played with cheetahs, tried out a crazy zip line in Mexico, tested out a hoverboard, and swam with sharks. Mike Corey describes himself as a "breakdancing marine biologist turned travel videographer." He posts videos every Wednesday, from his underwater sojourns in the Caribbean Sea to the upward climb in a natural blow hole in Panama. You wouldn't believe his video clip of the brightest glowing bioluminescent bay in the world—Mosquito Bay in Vieques, Puerto Rico. Nadine Sykora has traveled through more than 48 countries in a span of five years. She uploads new videos twice a week—from a clip featuring the best sights in Cancun to a how-to video on what to pack in your carry-on luggage. With her perky attitude, you won't be able to stop watching her travels around the world. Vagabrothers Alex and Marko Ayling's YouTube channel is a play on the word vagabond. They wander from one place to another with the "mission to explore our planet by connecting with other young people and inspiring viewers to do the same." Born in San Diego to a Kiwi expat and a flight attendant, they teamed up in 2012 to form their duo that combines Marko's travel writing skills with Alex's filmmaking and photography expertise—not bad if you want to win a global travel video contest, which they did in 2013.